The Foundation Stone in the floor of the Dome of the Rock shrine in Jerusalem. The round hole at upper left penetrates to a small cave, known as the Well of Souls, below. The cage-like structure just beyond the hole covers the stairway entrance to the cave (south is towards the top of the image). The Foundation Stone (Hebrew: אבן השתייה‎ Even ha-Shtiyya or Hebrew: סֶּלַע‏‎ Selā‛, Arabic: الصخرة المشرفة‎ al-Sakhrah al-Musharrafah "The Noble Rock") is the name of the rock at the centre of the Dome of the Rock in Jerusalem. 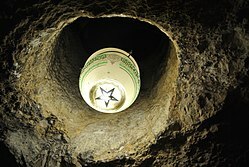 It is also known as the Pierced Stone because it has a small hole on the southeastern corner that enters a cavern beneath the rock, known as the Well of Souls. There is a difference of opinion in classical Jewish sources as to whether this was the location of the Holy of Holies or of the Outer Altar. According to those that hold it was the site of the Holy of Holies, that would make this the holiest site in Judaism (Tanhuma, chapter 10). 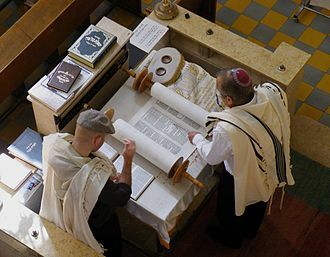 Jewish tradition views the Holy of Holies as the spiritual junction of Heaven and Earth, the axis mundi, and is therefore the direction that Jews face when praying the Amidah. 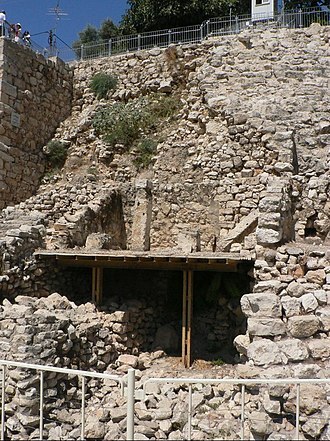 The other view, that this was the site of the Outer Altar, would explain the holes in the stone which served various sacrificial purposes in the Outer Altar. From a classical Jewish textual standpoint, there is no conclusive opinion on the matter. The rock is located towards the centre of the Temple Mount, an artificial platform built and expanded over many centuries. The current shape is the result of an expansion by Herod the Great on top of vaults over a summit called Mount Moriah which three millennia ago was the highest elevation in early Jerusalem's proximity to the City of David. There is some controversy among secular scholars about equating Mount Moriah, the Temple Mount and the Foundation Stone as the location where events occurred according to the Biblical narrative. Early Jewish writings assist in confirming that the Dome of the Rock, completed in 691, is the site of the Holy of Holies and therefore the location of the Foundation Stone. Pirke De-Rabbi Eliezer, a midrashic narrative of the more important events of the Torah believed to have been compiled in Italy shortly after 833 CE, writes: "Rabbi Ishmael said: In the future, the sons of Ishmael (the Arabs) will do fifteen things in the Land of Israel … They will fence in the breaches of the walls of the Temple and construct a building on the site of the sanctuary." 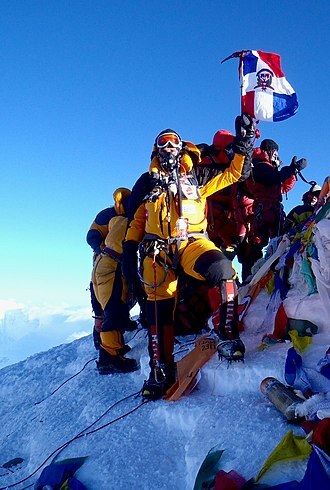 Rabbis have discussed the precise location of the rock. 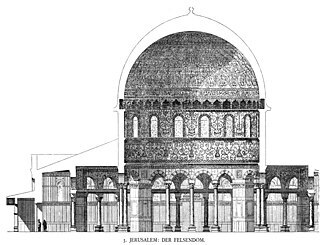 David ben Solomon ibn Abi Zimra was convinced that "under the dome on the Temple Mount, which the Arabs call El-Sakhrah, without a doubt is the location of the Foundation Stone." 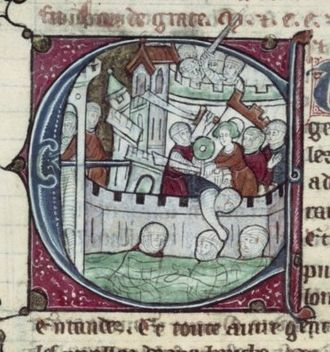 The Travels of Petachia of Ratisbon, c.1180, The Travels of Benjamin of Tudela and The Travels of the Student of the Ramban all equally state that "on the Temple Mount stands a beautiful sanctuary which an Arab king built long ago, over the place of the Temple sanctuary and courtyard." Obadiah ben Abraham Bartenura, who wrote a letter from Jerusalem in 1488, says that "I sought the place of the Foundation Stone where the Ark of the Covenant was placed, and many people told me it is under a tall and beautiful dome which the Arabs built in the Temple precinct." Other traditional sources disagreed; operating under the belief that the Southern Wall of the Temple Mount as it stood in their time was the Southern Wall of the Biblical era, they argued that the measurements given in the Talmud do not reconcile. The Holy of Holies ends up being too far north and they therefore locate the Foundation Stone as being directly opposite the current exposed section of the Western Wall, where no building currently stands. This is the view of Isaac Luria and the Maharsha, who state the prophecy that "Zion will become a ploughed field" indicates that no dwelling will be established there until the time of the Redemption. It therefore follows that the footprint of the Temple courtyard and Holy of Holies is situated in the unbuilt area between the Dome of the Rock and al-Aqsa Mosque. Some believe the position is north of the Dome of the Rock, opposite the Gate of Mercy, which Emmanuel Hai Ricci identifies as the Shushan Gate mentioned in the Talmud. This gate was described as being opposite the opening of the sanctuary. The stone that was located beneath the Ark of the Covenant is the one under the Dome of the Rock. The stone that was located beneath the altar is now the one that is under the Dome of the Rock. The stone that was located beneath the Ark of the Covenant is now near El Kas fountain to the South of the Dome of the Rock. The stone that was located beneath the Ark of the Covenant is now inside the Spirits Dome situated to the North of the Dome of the Rock. Although the rock is part of the surrounding 90-million-year-old, Upper Turonian Stage, Late Cretaceous karsted limestone, the southern side forms a ledge, with a gap between it and the surrounding ground; a set of steps currently uses this gap to provide access from the Dome of the Rock to the Well of Souls beneath it. 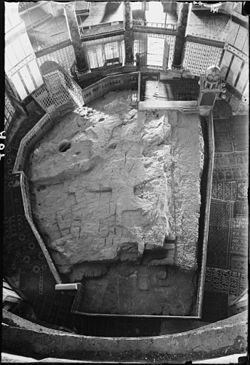 The rock has several artificial cuts in its surface generally attributed to the Crusaders whose frequent damage to the rock was so severe that the Christian kings of Jerusalem placed a protective marble slab over the rock. 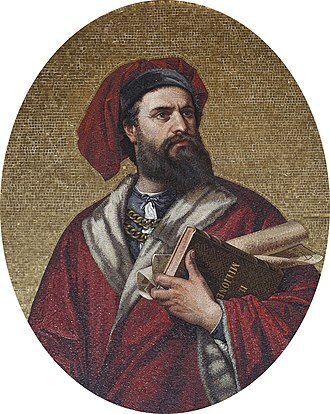 The marble slab was removed by Saladin. 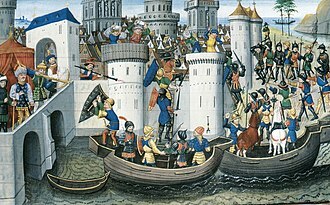 More recently, there has been speculation that several artificial features of the rock's surface may substantially predate the Crusades. Archaeologist Leen Ritmeyer reports that there are sections of the rock cut completely flat, which north-to-south have a width of 6 cubits, precisely the width that the Mishnah credits to the wall of the Holy of Holies, and hence Ritmeyer proposed that these flat sections constitute foundation trenches on top of which the walls of the original temple were laid. However, according to Josephus there were 31 steps up to the Holy of Holies from the lower level of the Temple Mount, and the Mishnah identifies 29 steps in total, and each step was half a cubit in height (according to the Mishnah); this is a height of at least 22 feet—the height of the Sakhra is 21 feet above the lower level of the Temple Mount, and should therefore have been under the floor. Measuring the flat surface as the position of the southern wall of a square enclosure, the west and north sides of which are formed by the low clean-cut scarp at these edges of the rock, at the position of the hypothetical centre is a rectangular cut in the rock that is about 2.5 cubits (min. 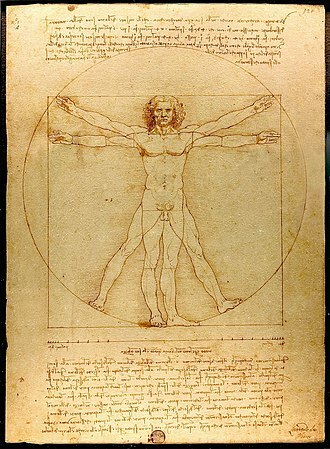 120.4 cm SI) long and 1.5 cubits (min. 72.24 cm SI) wide, which are the dimensions of the Ark of the Covenant (according to the Book of Exodus). The Mishnah gives the height of the rock as three thumb-breadths (min. 6 cm SI) above the ground. Radbaz discusses the apparent contradiction of the Mishnah’s measurements and the actual measurement of the rock within the Dome he estimates as a “height of two men” above the ground. He concluded that many changes in the natural configuration of the Temple Mount have taken place which can be attributed to excavations made by the various occupiers of Jerusalem since the Second Temple construction. This is the holiest site in Judaism. 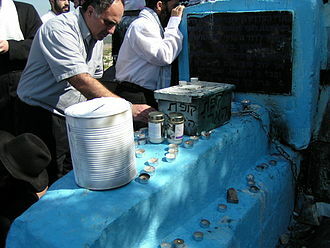 Jews all over the world pray toward the Foundation Stone. According to the sages of the Talmud, it was from this rock that the world was created, itself being the first part of the Earth to come into existence. In the words of the Zohar, "The world was not created until God took a stone called Even haShetiya and threw it into the depths where it was fixed from above till below, and from it the world expanded. It is the centre point of the world and on this spot stood the Holy of Holies." According to the Talmud, it was close to here, on the site of the altar, that God gathered the earth that was formed into Adam. It was on this rock that Adam—and later Cain and Abel and Noah—offered sacrifices to God. Jewish sources identify this rock as the place of the Binding of Isaac mentioned in the Bible, where Abraham fulfilled God's test to see if he would be willing to sacrifice his son. The mountain is identified as Moriah in Genesis 22. It is also identified as the rock upon which Jacob dreamt about angels ascending and descending on a ladder and consequently consecrating and offering a sacrifice upon.. When, according to the Bible, King David purchased a threshing floor owned by Araunah the Jebusite, it is believed that it was upon this rock that he offered the sacrifice mentioned in the verse. He wanted to construct a permanent temple there, but as his hands were "bloodied", he was forbidden to do so himself. The task was left to his son Solomon, who completed the Temple in c. 950 BCE. The Mishnah in tractate Yoma mentions a stone situated in the Holy of Holies that was called Shetiya and had been revealed by the early prophets (i.e. David and Samuel.). 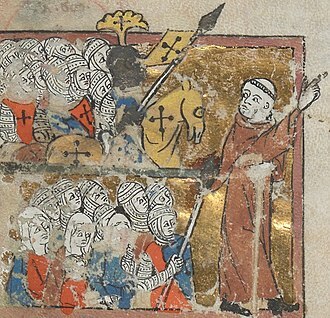 An early Christian source noting Jewish attachment to the rock may be found in the Itinerarium Burdigalense, written between 333–334 CE when Jerusalem was under Roman rule, which describes a "perforated stone to which the Jews come every year and anoint it, bewail themselves with groans, rend their garments, and so depart." Situated inside the Holy of Holies, this was the rock upon which the Ark of the Covenant was placed in Solomon's Temple. During the Second Temple period when the Ark of the Covenant was not present, the stone was used by the High Priest who offered up the incense and sprinkled the blood of the sacrifices on it during the Yom Kippur service. "נשייא דנהגן דלא למי שתייה עמרא מן דאב עליל מנהג – שבו פסקה אבן שתייה". Women are accustomed not to prepare or attach warp threads to a weaving loom from Rosh Chodesh Av onwards (till after Tisha B'Av), because during the month of Av the Foundation Stone [and the Temple] was destroyed. Citing this, the Mishnah Berurah rules that not only are women not to prepare or attach warp threads to a weaving loom, but it is forbidden for anyone to make, buy or wear new clothes or shoes from the beginning of the week in which Tisha B'Av falls until after the fast, and that people should ideally not do so from the beginning of Av. In further commemoration of the Foundation Stone, it is also forbidden to eat meat or drink wine from the beginning of the week in which Tisha B'av falls until after the fast. Some have the custom to refrain from these foodstuffs from Rosh Chodesh Av, while others do so from the Seventeenth of Tammuz. You carried us and placed us on the [Holy] City’s height, You settled us on the Patriarch’s rocky peak. Upon it lying the stone from which the foundation was hewn… Who gives ear from which the waters flow [i.e. the foundation stone "from which flow all the waters of the world"]. Please save! – Foundation Stone – Please save! Please save! – Adorn us with the elevated Stone – Please save! The Temple Mount, where the Foundation Stone is located, is thought by commentators of the Quran to be the place from which Muhammad began his Night Journey. Although the Qur'an does not specifically mention Jerusalem in name as the ascension site, labelling the site as the Al-Aqsa Mosque, the Hadith, the recorded sayings of Muhammad, specify that the site is indeed the Foundation Stone in Jerusalem. 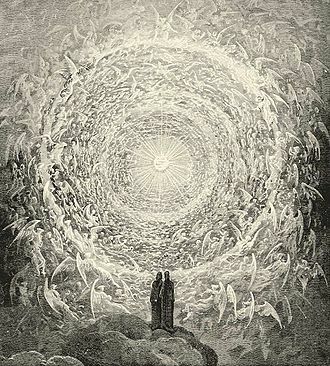 According to Islamic belief, angels visited the site 2,000 years before the creation of Adam. It is also thought to be the place where Israfil, the angel of the trumpet, will sound his horn on Resurrection Day. Beneath the Foundation Stone is a cavern known as the Well of Souls. 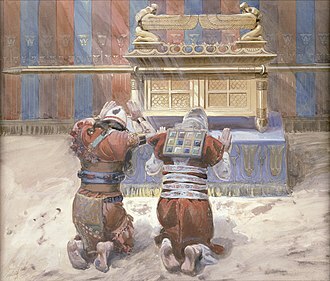 It is sometimes thought of as the traditional hiding place of the Ark of the Covenant. 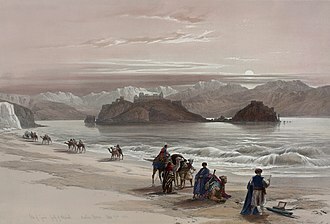 ^ A. Benisch, Travels of Petachia of Ratisbon (with English translation), London 1856. ^ The Itinerary of Benjamin of Tudela: Travels in the Middle Ages; (English translation originally published by Joseph Simon/Pangloss Press in 1993, ISBN 0-934710-07-4). ^ Avraham Ya'ari, Igrot Eretz Yisrael, Ramat Gan 1971. 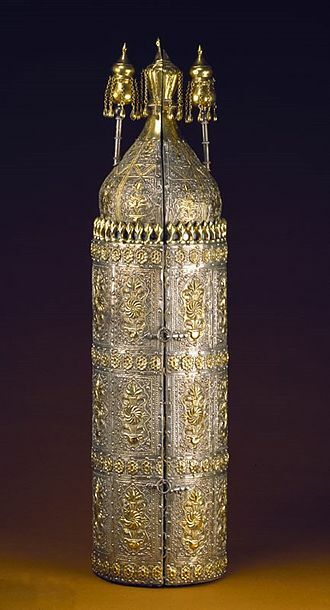 ^ Rav lshtori HaParchi (14th Century), Kaftor VeFerach, Provence, France. ^ Emek HaMelech, Preface, paragraph 9. ^ a b "Fig. 6. The Southern System (237 K)". Templemount.org. Retrieved 13 October 2014. ^ a b "Fig. 5. The Northern System (63K)". Templemount.org. Retrieved 13 October 2014. ^ "The Hidden Secrets of the Temple Mount". Templemount.org. Retrieved 13 October 2014. ^ "Fig 4 The Middle System (124 K)". Templemount.org. Retrieved 13 October 2014. ^ "Fig. 3. The Central System (42 K)". Templemount.org. Retrieved 13 October 2014. ^ Ritmeyer, Leen, The Quest (2006), pp. 263-268. ^ 1 Chronicles 21:25, and 2 Samuel 24:18-25. ^ "Bordeaux Pilgrim - Text: 7a. Jerusalem (first part)". Christusrex.org. Retrieved 13 October 2014. ^ Zohar Vayechi 1:231; Midrash Tanchuma Acharei Ch.3 (see Etz Yosef commentary); Maimonides, Beis HaBechirah 4:1. ^ This is derived from the fact that another version of the same piece of Talmud reads: "למישתייה חמרא" “(to refrain) from drinking wine”. This follows the version recorded by Hai Gaon. It is brought down by the Kolbo, Halakha Tisha B'Av, and Machzor Vitri 263. ^ ArtScroll Selichot, Second day, Selicha 5. ^ ArtScroll Selichot, Fast of Gedalia, Selicha 46. ^ "Sahih Bukhari Hadith Volume 5, Book 58, Number 226:". Wikimedia Commons has media related to Foundation Stone (Temple Mount). The Temple Mount, known to Muslims as the Haram esh-Sharif, a hill located in the Old City of Jerusalem, is one of the most important religious sites in the world. It has been venerated as a site for thousands of years by Judaism, Christianity. The present site is dominated by three monumental structures from the early Umayyad period, the al-Aqsa Mosque, the Dome of the Rock, Herodian walls and gates with additions dating back to the late Byzantine and early Islamic periods cut through the flanks of the Mount. Currently it can be reached through eleven gates, ten reserved for Muslims and one for non-Muslims, the Temple Mount is the holiest site in Judaism, which regards it as the place where Gods divine presence is manifested more than in any other place. According to the rabbinic sages whose debates produced the Talmud, it was here the world expanded into its present form. Several passages in the Hebrew Bible indicate that during the time when they were written, the Temple Mount was identified as Mount Zion. The Mount Zion mentioned in the parts of the Book of Isaiah, in the Book of Psalms. The name migrated for a last time, this time to Jerusalems Western Hill, according to the Bible, both Jewish Temples stood at the Temple Mount, though archaeological evidence only exists for the Second Temple. However, the identification of Solomons Temple with the area of the Temple Mount is widespread, according to the Bible the site should function as the center of all national life—a governmental and religious center. During the Second Temple period it functioned as an economic center, according to Jewish tradition and scripture, the First Temple was built by King Solomon the son of King David in 957 BCE and destroyed by the Babylonians in 586 BCE. The second was constructed under the auspices of Zerubbabel in 516 BCE, in the 2nd century, the site was used for a temple to Jupiter Capitolinus. It was redeveloped following the Arab conquest, Jewish tradition maintains it is here a Third and final Temple will be built. The Western Wall, Wailing Wall or Kotel is an ancient limestone wall in the Old City of Jerusalem. It is a small segment of a far longer ancient retaining wall. The Western Wall is considered due to its connection to the Temple Mount. Because of the status quo policy, the Wall is the holiest place where Jews are permitted to pray, though it is not the holiest site in the Jewish faith, which lies behind it. The original and irregular-shaped Temple Mount was gradually extended to allow for an ever-larger Temple compound to be built at its top, on top of this box-like structure Herod built a vast paved esplanade which surrounded the Temple. Of the four retaining walls, the one is considered to be closest to the former Temple. 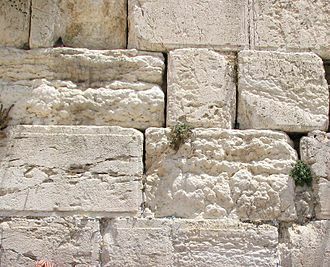 The term Wailing Wall is not used by Jews and increasingly many others who consider it derogatory, in a broader sense, Western Wall can refer to the entire 488 metre-long retaining wall on the western side of the Temple Mount. The wall has been a site for Jewish prayer and pilgrimage for centuries, from the mid-19th century onwards, attempts to purchase rights to the wall and its immediate area were made by various Jews, but none was successful. During this period outbreaks of violence at the foot of the wall became commonplace, after the 1948 Arab-Israeli War the Eastern portion of Jerusalem was occupied by Jordan. This period ended on June 10,1967, when Israel gained control of the following the Six-Day War. Three days after establishing control over the Western Wall site the Moroccan Quarter was bulldozed by Israeli authorities to create space for what is now the Western Wall plaza. The earliest Jewish use of the Hebrew term ha-kotel ha-maaravi, the Western Wall, the name Wailing Wall, and descriptions such as wailing place, appeared regularly in English literature during the 19th century. The name Mur des Lamentations was used in French and Klagemauer in German and this term itself was a translation of the Arabic el-Mabka, or Place of Weeping, the traditional Arabic term for the wall. This description stemmed from the Jewish practice of coming to the site to mourn, at some time in the 19th century, the Arabs began referring to the wall as the al-Buraq Wall. Pirke de-Rabbi Eliezer is an aggadic-midrashic work on the Torah containing exegesis and retellings of biblical stories. 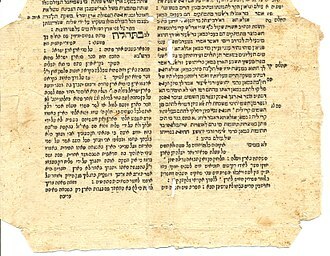 The composition enjoyed widespread circulation and recognition throughout Jewish history, leopold Zunz has suggested that the book has had interpolations made to copies owned by private citizens in the 8th century. Isaak Jost first noticed the inclusion of 8th century interpolations, the topic of chapters one and two of the composition is the beginnings of Rabbi Eliezer ben Hyrkanus, it is due to them that medieval sages attributed the entire work to him. However, Zunz conclusively proved that this traditional ascription is not historically accurate and this is further proved by one manuscript which places the title “Pirkei R. Eliezer ben Hyrkanus” and begins the chapter numbering only after chapter two. 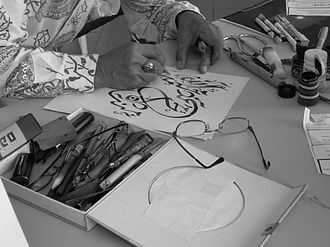 Nevertheless, it is critical to note that both chapters are found in all manuscripts of the composition, which increases the likelihood that they have always been part of the composition. Furthermore, examination of the language of these chapters points to the fact that these chapters are considered part of the composition. PRE contains distinct literary phrases which appear and reappear throughout the entire work, there is a complex problem about the completeness of the composition. Zunz detected two literary structures around which the author of PRE has organized his composition, but which are not complete in the composition as it is known to us today. A) At the beginning of chapter fourteen there is a list of ten times that God descended into the world and these “descents” are expounded upon in various places throughout the work. However, the last descent to appear is the eighth, the two are missing. B) From chapter twenty-six and onwards, several chapters conclude with a blessing from the Shemoneh Esreh prayer, alongside this possibility, Zunz raised the possibility that the work was at one point complete, but that parts of it were lost in its early period. This suggestion has found acceptance among scholars, who are in almost complete agreement that the composition as it is in our hands is missing pieces that were once in existence. The Turonian is, in the ICS geologic timescale, the second age in the Late Cretaceous epoch, or a stage in the Upper Cretaceous series. It spans the time between 93.9 ±0.8 Ma and 89.8 ±1 Ma, the Turonian is preceded by the Cenomanian stage and underlies the Coniacian stage. At the beginning of the Turonian an anoxic event took place which is called the Cenomanian-Turonian boundary event or the Bonarelli Event, the Turonian was defined by the French paleontologist Alcide dOrbigny in 1842. Orbigny named it after the French city of Tours in the region of Touraine, the base of the Turonian stage is defined as the place where the ammonite species Wutinoceras devonense first appears in the stratigraphic column. The official reference profile for the base of the Turonian is located in the Rock Canyon anticline near Pueblo, the top of the Turonian stage is defined as the place in the stratigraphic column where the inoceramid bivalve species Cremnoceramus rotundatus first appears. The Turonian is sometimes subdivided in Lower/Early and Upper/Late substages or subages, inoceramids are bivalve Mollusca related to todays mussels. Zion, transliterated Sion, Syon, Tzion or Tsion, is a place name often used as a synonym for Jerusalem. The word is first found in 2 Samuel 5,7 which dates from c. 630–540 BC according to modern scholarship. 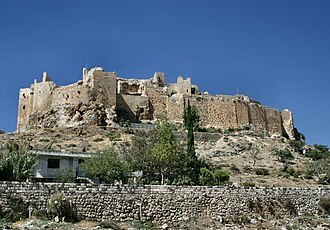 It commonly referred to a mountain near Jerusalem, on which stood a Jebusite fortress of the same name that was conquered by David and was named the City of David. In Kabbalah the more esoteric reference is made to Tzion being the point from which reality emerges, located in the Holy of Holies of the First, Second. The etymology of the word Zion is uncertain, mentioned in the Bible in the Book of Samuel as the name of the Jebusite fortress conquered by King David, its origin likely predates the Israelites. If Semitic, it may be derived from the Hebrew root ṣiyyôn or the Hebrew ṣiyya, a non-Semitic relationship to the Hurrian word šeya has been suggested. The form Tzion appears 108 times in the Tanakh, and once as HaTzion and it is spelled with a Tzadi and not Zayin. The commonly used English form is based on German orthography, where z is always pronounced, a tz would only be used if the preceding vowel is short, and hence use of Zion in 19th-century German Biblical criticism. Zion is the Hebrew name for the Temple Mount in Jerusalem and was the seat of the first and it is the most holy place in the world for the Jewish people, seen as the connection between God and humanity. For there they that carried us away captive required of us a song, how shall we sing the Lords song in a strange land. If I forget thee, O Jerusalem, let my right hand forget her cunning, if I do not remember thee, let my tongue cleave to the roof of my mouth, if I prefer not Jerusalem above my chief joy. The Lord doth build up Jerusalem, he gathereth together the outcast of Israel, praise the Lord, O Jerusalem, praise thy God, O Tzion. Mentioned 26 times in the Tanakh, the biblical phrase Daughter of Tzion is a reference to Mount Moriah in Jerusalem. 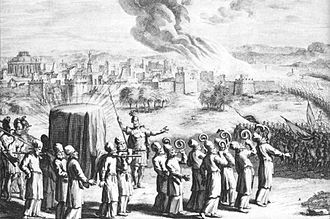 A cryptic verse in the book of Zechariah, Zechariah 4,7, seems to refer to Mount Moriah, in Hebrew it reads Mi attah Har-haGadol lifnei Zerubbabel lmishor. The plain text has no punctuation, but the Masoretic Text puts a pause following Har-haGadol, to mean Who are you, however, if the pause is placed following Zerubbabel, it would mean instead What are you, great mountain before Zerubbabel. Digital edition of Pirkê De Rabbi Eliezer. Title page of a Sabbioneta edition of Pirke De-Rabbi Eliezer.